The 4wd bounced along the track through the ancient forest. The girls sat beside me giggling with each jolt up and down, my heart swelled to watch them having such fun. I sat and listened to our guide telling interesting stories and facts about the Pemberton region in Western Australia. After the last few hectic months we’d had recently on our road trip around Australia, and the travel blues I’d been feeling, I breathed a sigh of relief. How good was this to sit back and have everything taken care of? I could actually look around in peace and enjoy the experience. This is the travel I love. Not that frenetic rush to try and organise and see everything on our own. Well not so much now with kids anyway. Who couldn’t use a bit of this? Now cruises have their time and place. If you’re looking for adventure and cultural immersion, then it’s probably not the journey you want to take. But, if you’re a stressed out parent (is there every anything but) who spends 48 weeks a year running around on empty, and when the annual holidays roll around, you only have the energy to collapse on the couch, or you want to have a ton of fun in the sun, then cruising could be for you. I think I still maintain this travel lifestyle because I know that if I went home, I’d still be collapsing exhausted and stressed of an evening because there is no break, so I might as well travel and have some fun experiences mixed in. We all need time through the year where we do nothing but enjoy ourselves. No cooking, cleaning, shopping, planning, managing, organising, bossing, nagging, or crying. Just happy laughter and painted toe nails on the beach cabana! And if you don’t have the time or energy to plan that sort of a break, then consider a cruise. 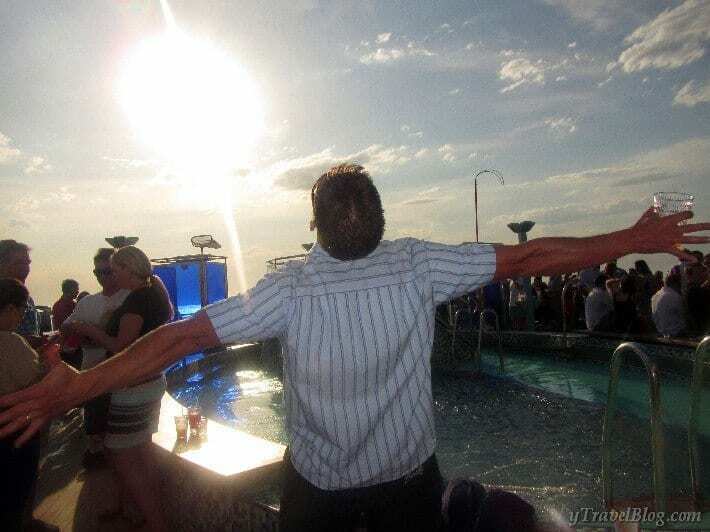 “How good would a cruise be right now? We’d have everything done for us and we could just sit back by the pool and chill out”. Absolutely. That’s what cruises are about. So if you’re thinking of whether to make your next family holiday a cruise, here’s why you might want to consider family cruising. Travel in Australia is expensive. But with a cruise you’ve got a very good idea of what you’re holiday will cost when you go cruising. Almost everything is included in the price of your cruise. You get your cabin, food, and entertainment. You will have to pay extra for alcohol, any offshore tours and should you wish to dine at the fancy restaurants. Hot Tip – skip the offshore tours and explore on your own. You can walk around, hire a car, or scout out some on the ground tour operators to show you around at a cheaper price. All you have to do is book your tickets, check in to your cabin, and then check activity schedule every day you’re on board the cruise to plan your fun or relaxation method. #TooEasy. No researching hotels, flights, or best things to see and do. No need to check if this restaurant or that place is kid-friendly. Because there is no organising time, pressures from life on the travel road, or hectic sight seeing schedules, you get to spend quality time with your children and reconnect with them in a relaxed and fun environment. They’ll love playing with you in this new carefree light! I’ve rarely seen an unhappy child on a cruise. From water slides, to mini-golf, dancing competitions, craft afternoons, magic shows, and basketball games. It is endless how they can be entertained. You know what they say, happy children, happy parents. Did somebody say Kids Club? We haven’t seen one in months! I know you’re tempted to shove them in there for the entire day, but really a couple of hours a day works well. They love it because there is lots of fun things to do, but also because they get to make and hang out with new friends. Even the teenagers seem to love it. Of an evening, there are movie and dancing nights, which means not only do you get a chance to escape to the adults only serenity lounge during the day, but you can also enjoy a date night. If you want to stay later than 10pm you can hire a babysitter quite cheaply. Okay caveat needed here. You will probably walk off the boat 5kg heavier. I kid you not! From my experience the food is amazing and in endless quantities. You get the buffet three times and day and the more formal dining with three courses. I HIGHLY recommend you skip the buffet and do the formal meal. The food is better quality and there is less tendency to overindulge. I think we all want the holiday where we can eat out three times a day and have it served to us with white linen. Yep, all included in the price. Then there is the fancier restaurant you can dine at, which will cost you more, but if you want a splurge it’s well worth it. Choose your cruise during the right season and you could spend each day lazing around the pool with a cocktail in hand. There are usually a couple of pools to choose from. Some have spas and live music. Many ships have an adults only pool area. We loved the nightly shows put on by cruises. They can be quite extravagant and of Broadway quality. I’m amazed at how they can continue to dance in high heels while the boat is sailing. There’s also comedy evenings and shows that are suitable for the kids. There’s typically a casino and plenty of different bars to hang out in with live music or karoke. I particularly enjoyed the piano bar for a fun sing-a-long evening. I’ve found the service on cruises to be outstanding. The crew can’t do enough to help you feel happy. They tell you their stories, they make funny animals out of your towels when they make up the room each day, and they happily cater to your every whim with a smile. You can also pay extra to have some behind the scenes experiences like touring the galley, visiting the Captain, or enjoying a Chefs table. Cruises aren’t so much for the stop overs for me. They are more about just enjoying the experience of having a break and letting someone else take care of everything for me. But, for some people the chance to get off the ship and experience a city for the day is a bonus. 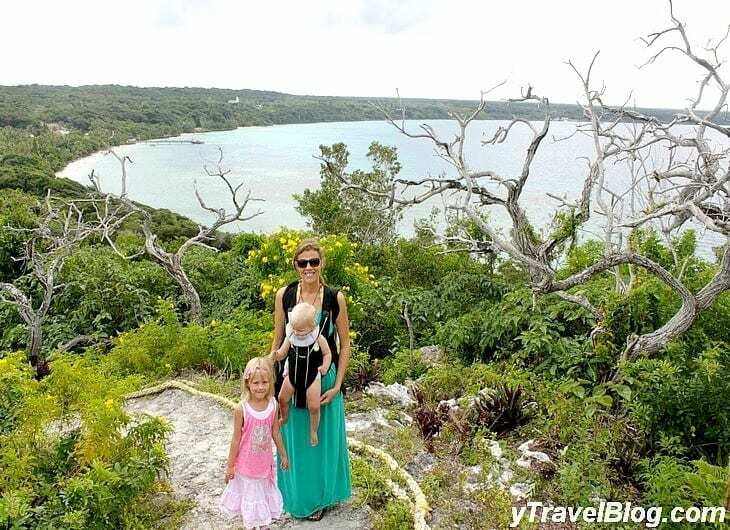 I did really enjoy driving around Vanuatu for the day on our Pacific Island cruise. Don’t worry if you like to spoil yourself a little while on holiday. Cruises come with with indulgences like a gym – you’ll need it after all the food – a salon, teeth whitening, and lots of spa treatments. You MUST have a bamboo massage. I had one on our Pacific Dawn cruise and it was amazing. I wrote about this once before here. I feel one of the biggest positives about a cruise is that everyone on the ship is on a holiday, so there is just this electric happy vibe that permeates around. Everyone is having their two week annual relief and having everything taken care of so they can just practice being joyful. 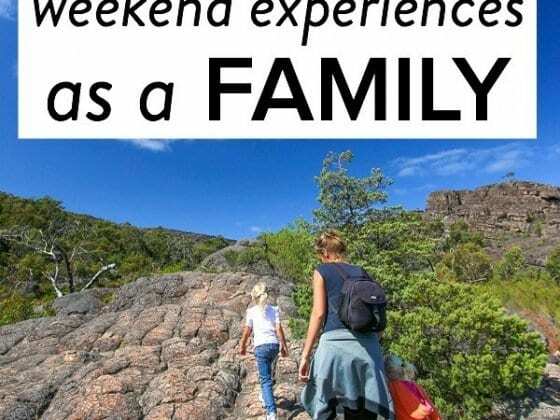 We noticed a similar vibe on Rottnest Island last month, which is basically just a tourist island so everyone is having a holiday and that same happy vibe runs through the air. And a similar observation, Rottnest does not have cars, like cruise ships don’t. I seriously think that improves our mood tremendously. There’s some sort of freedom and ease that comes with it. Like you’ve been given permission to return to slow and basic living. If you’re thinking of a cruise around Australia, then do the happy dance, you get to see some sights without having to take on the long dusty driving. Trust us, it’s brutal. There’s certainly no pool parties or spas to keep you busy while you’re moving. Well alrighty then, so which cruise should we book ourselves on for now? 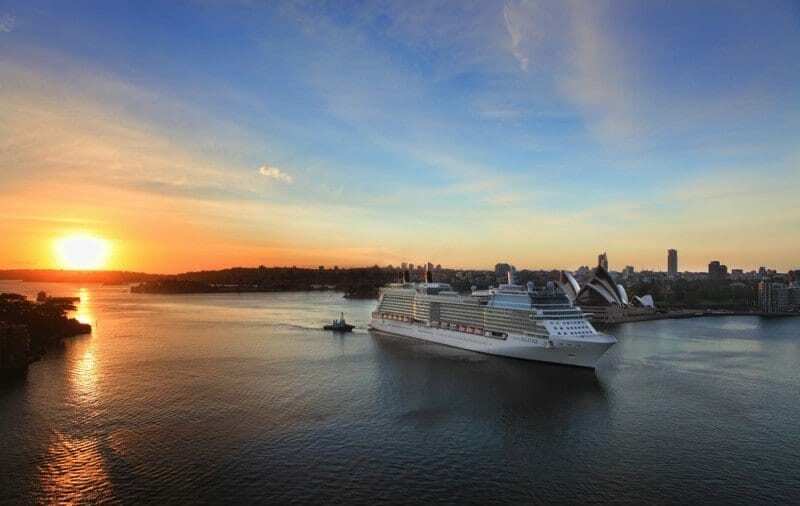 A cruise around Australia might be better than ever. The Aussie dollar is pretty low right now so domestic travel is looking good AND, depending on your departure city you may not have to book expensive flights, like you would if you were travelling overseas. Ozcruising is an easy one stop cruising web site providing the best deals and the largest cruising range available to the Australian market. They offer all potential travellers a service to research and book online. It’s amazing how many cruises there are available around Australia. I didn’t realise until checking out this website. We have personally sailed on Pacific Dawn and Carnival Spirit and loved both ships. Is travelling with kids too hard? 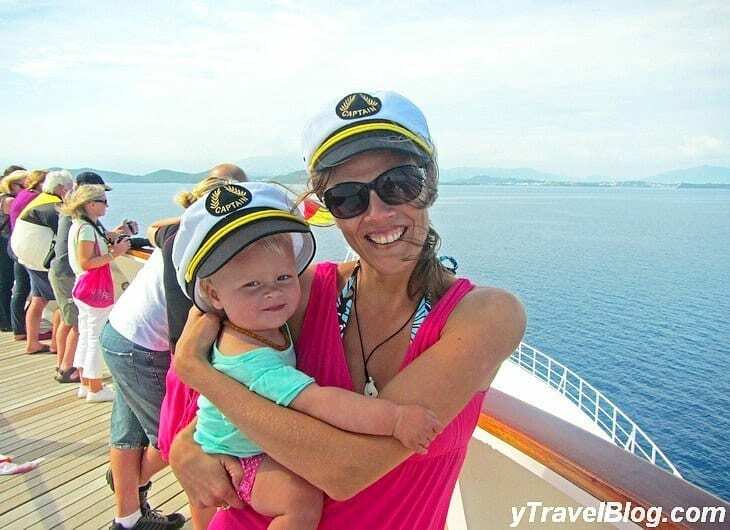 Do you see a family cruise in your future? Any tips for first time cruisers? You guys looked like you had an absolute ball! Fantastic photo’s! I would love to do another cruise hopefully very soon! Kat, it took us 38 years to do our first cruise. We’d always said, nope, not interested. But once we finally took the plunge we actually really enjoyed the experience and have done 3 cruises now. 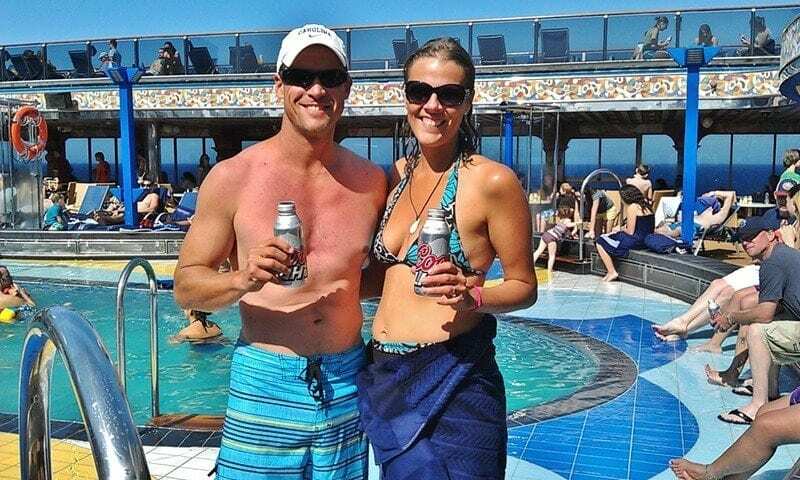 Cruising has its benefits for busy parents and families or even just couples who want to unwind, not have to organize and plan, and have everything at their fingertips. We had a ton of fun! 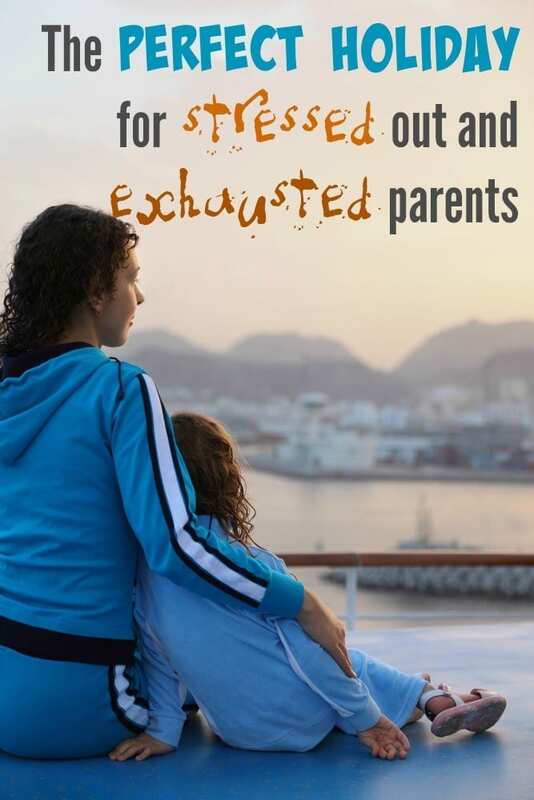 This was a timely article for me as my mum and I have been talking about going on a cruise for a family holiday sometime soon, despite the fact that it’s not the usual style of travel we go for. It was never our “style of travel” either and we always said you would never catch us on a cruise, the thought of being stuck on a ship with 2,000 other people for 5 days sounded horrible. But it never felt too clustered and the ships we’ve been on are that big and there are that many different sections and rooms to cater to all types of personalities you can find someplace to getaway. My only tip would be pay the little extra to get a balcony room and a decent room, in case you do want to really get away from everyone and having a coffee or even breakfast on your balcony is awesome. Great points you make about cruising. I’ve been fortunate to cruise around the Greek Islands twice and it’s an amazing experiencing. The food, entertainment and (almost) all-inclusive price are great selling points for passengers of all ages and particularly families. Like you, I’m keen to get back on board! I enjoyed this post so much! We are exactly that – stressed out and exhausted parents of one child. We are going on our first cruise in the Caribbean in less than a month and I am both excited and very worried how will everything go and if our daughter will leave us to have a nice and relaxing vacation! I’ve done a couple of cruises now, and they aren’t really one of my favourite holidays. I find that being restricted to one place a little hard – I like being able to go out and do things every day, whereas I find being on a cruise has a certain routine to it. In saying that however, they are extremely relaxing and you literally don’t have to do anything if you don’t want. I agree having dinner in the restaurant at night is nice change to the buffet and definitely go to the shows. On both cruises the shows each night were spectacular. Despite my negativity, I would actually cruise again, under the right circumstances because it is an all inclusive holiday and at least you know exactly what you have paid for. It was so funny the other day some friends were visiting and were talking about their decision to not go camping with a group of their other friends who all have kids (they don’t). They remarked, “We didn’t feel like being with stressed out parents for the weekend.” I cracked up!! It’s so what it’s like. You cannot go on a holiday, especially camping, with kids and not have that element of stress there. It’s in every aspect of your lives. 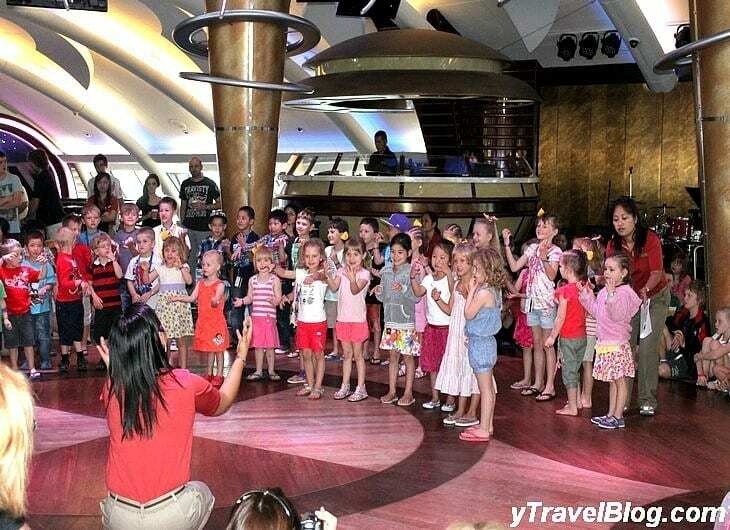 Cruising really does help alleviate that, give the kids a great time, and the parents a much needed break. It’s why the are so popular with families now and parents rave about them! Wow it looks and sounds amazing! We’re also considering our first cruise this summer sailing from Barcelona, Spain around Italy, France and Croatia for the exact reasons you mention. We have a very lively 3 year old and finding a holiday with a good balance of fun things to keep her entertained but also with good food and some adult time for us while she is in safe hands for a couple of hours really appeals to us. Would you say it is worth paying for an all incl drinks package as I’ve heard drinks are expensive on board if you pay for them individually? Yes, it may be just a little too much temptation, we might never leave the ship for fear of not getting our money’s worth of drink ;). Not forgetting we’re still responsible for a 3 year old too…Thanks for the reply Caz. Fantastic article! We’ve done a number of cruises with our now 5 yr old son and think they are a wonderful way to spend a holiday. Recently my son and I had a mum-and-son trip on the huge Allure of the Seas and could not have had more fun together. Great food, diving shows, awesome entertainment, ice skating, amazing kids’ centre, family craft and science classes. And add to that an adventure in a new port every couple of days. Even on the smaller ships with fewer options, we love to play mini-golf, swim under the stars and visit new places, and only unpack once. A cruise around Australia would be amazing! OMG! So forgot about the unpacking once! After a two hour pack up this morning and a two hour set up coming this afternoon, I’d die for this!!! 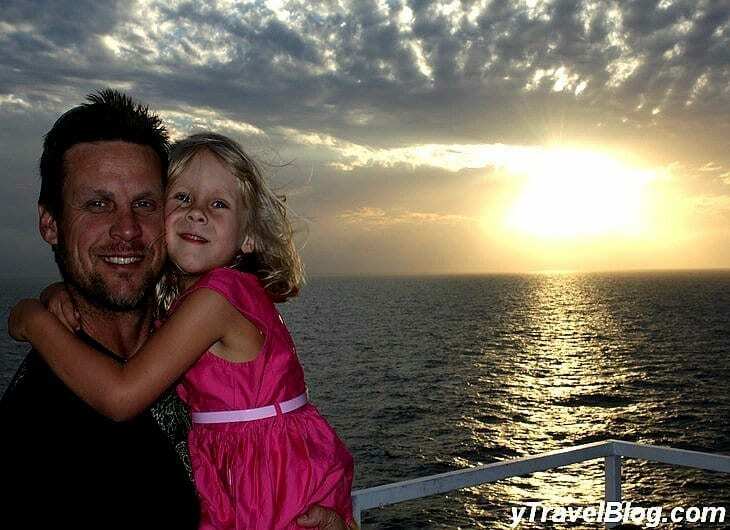 Unfortunately many people look down on cruise holidays and think it’s boring but their opinion often changes when they have kids and are looking for a holiday, which is fun for the parents, the 10yo, the 5yo and the 3yo as well. Luckily, the cruise industry is growing every year in Australia because people realised that cruise holidays are great for families. On the other hand, it is very important to choose a cruise brand and cruise ship that meets your requirements. For example Carnival and P&O have different customer than Royal Caribbean, and have totally different target market than Seabourn. Beautiful pictures …You guys had a great time.Will surely plan mine in next coming months. I am new to your website Caz and we are also for the first time considering a cruise, mostly for the reasons outlined in your article. My concern is the bedding configuration in the rooms. We have two primary aged children and I am yet to see a company that gives detail on the cabin setup. Two up (bunks) and two down just doesn’t seem conducive to a restful holiday… Any tips?? They should be fine with the bunk beds. Our girls slept okay. You’re so busy during the day that you’re ready to collapse at night, and that’s all you need the rooms for. After a crazy few months with moving interstate and dealing with medical issues, our holiday could not come soon enough. We are going on the Carnival Spirit next week. I really love your blog. I saw your talk at Problogger recently and have been a fan ever since. Thanks Ness! I’ve recently become a fan of your site!! It’s hard to find healthy, delicious recipes and on a site that looks good and is easy to find things. Yours is awesome! You will love the Carnival Spirit – just put your feet up and let them take care of everything for you. 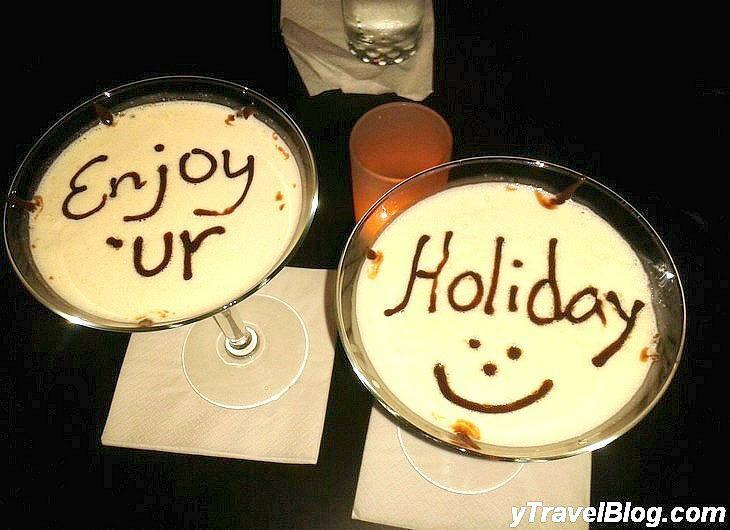 Have a great time! Thanks Caz. Glad you like the site. Let me know if you are ever after a particular recipe and I can see what I can come up with.